Hudnell | Where Angells Tread! The very first walk on this blog started here (that’s 87 walks ago!) and it’s been a while since we were last in the Gade Valley. We’ve picked a perfect winter’s afternoon for a walk. The sun’s out, the wind’s up and the sky is blue. You can over-think life and it’s always good to get out and blow away the cobwebs. 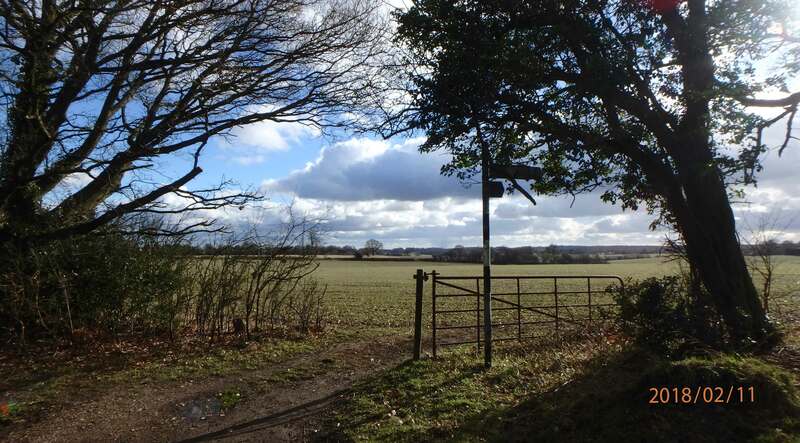 This walk is an easy stroll, the sort of walk where talking and thinking comfortably accompany walking but there are enough views to prevent self-absorption. As we climb through Hoo Wood from the Dagnell Road we catch some great views of the Gade Valley. From the top our path zigzags across fields. A combination of rain and sheep have left the paths slick and we splash and slip our way as far as Clement’s End. 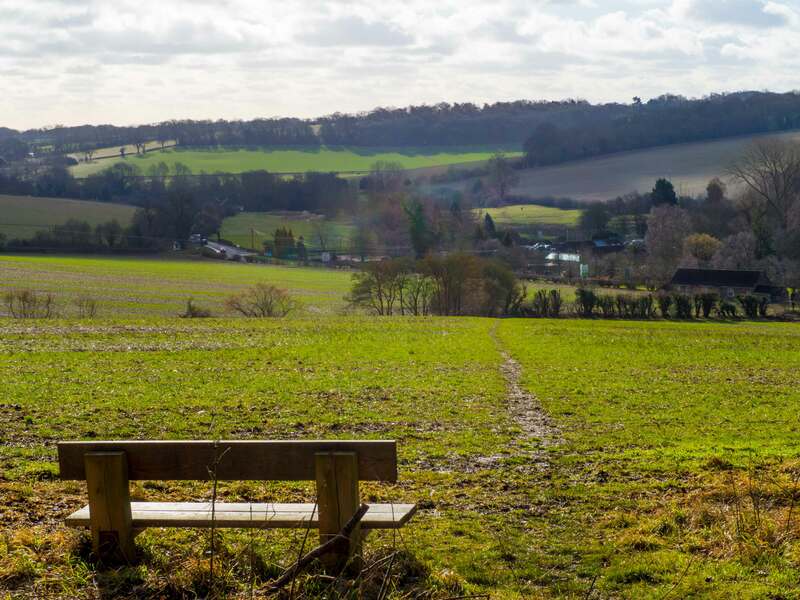 We drop back down to the Dagnell Road before climbing the other side of the Gade Valley to Hudnell and the evocatively named ‘Covetous Corner’…which turns out to be a view out towards the Ashridge Estate from St Margaret’s Lane…good…but perhaps a bit over-hyped! From here it’s an easy walk back to the car and we’re back just in time for a hail storm to chase us back to Hemel. A Sunday afternoon, cobweb clearing, 7.5 mile walk.